Why do we study films?. 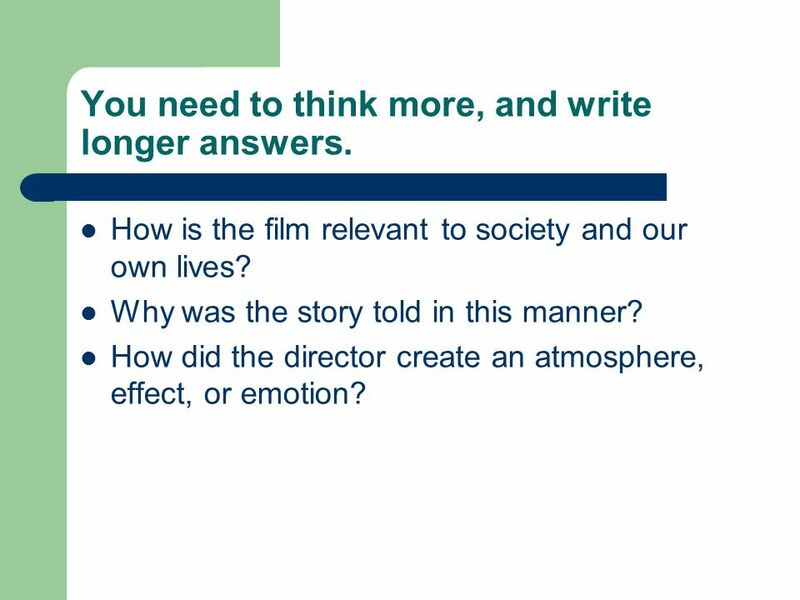 1 Why do we study films? 2 We start with simple questions. We want to know that you understand. What was the film about? What did you like about the film? What parts made you feel happy or sad? 3 Then the questions start to get more difficult. What lessons are there in the film? How did the director tell the story? What emotions were created in the film? 4 You need to think more, and write longer answers. How is the film relevant to society and our own lives? Why was the story told in this manner? How did the director create an atmosphere, effect, or emotion? 5 This is to help you evaluate and think critically about what you read and see. How does this film help us understand other beliefs and cultures? What was the director’s purpose in creating this film? How successful were the director’s attempts to create specific effects in the film? 6 The film is a way of showing you how to think about things differently. 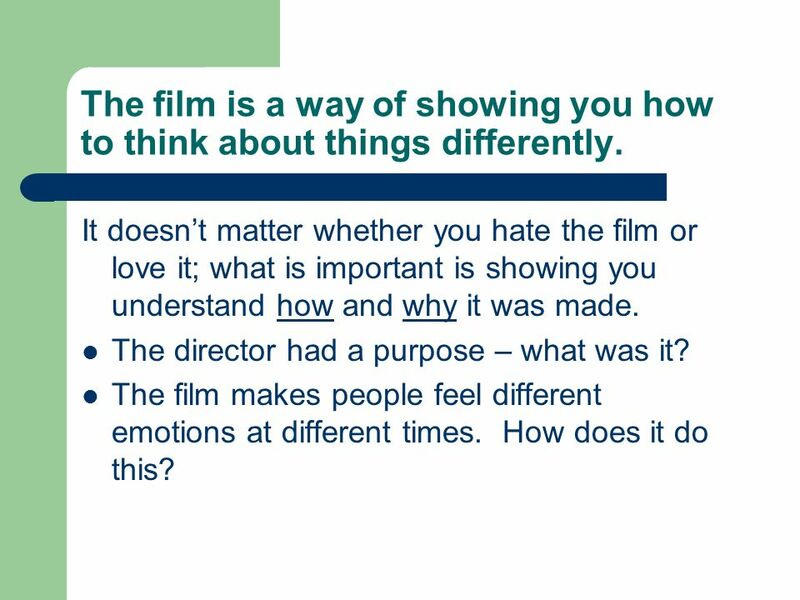 It doesn’t matter whether you hate the film or love it; what is important is showing you understand how and why it was made. The director had a purpose – what was it? The film makes people feel different emotions at different times. How does it do this? 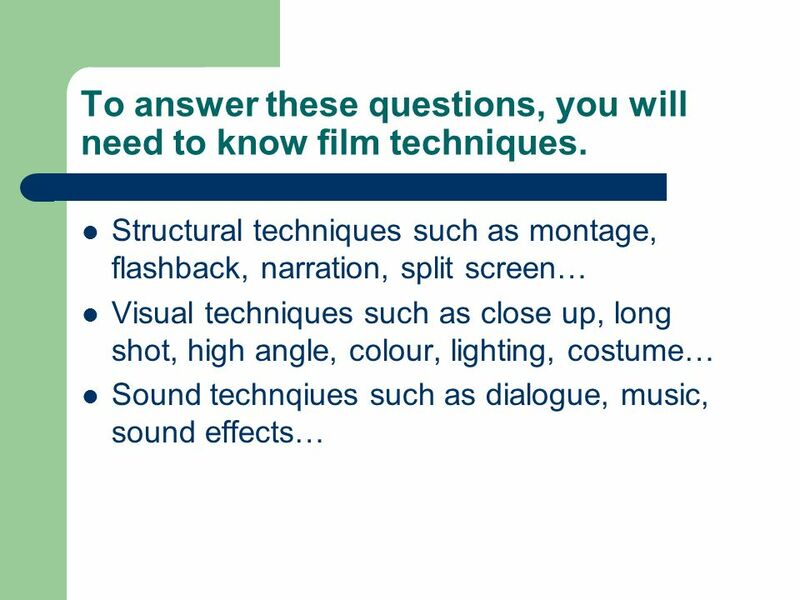 7 To answer these questions, you will need to know film techniques. 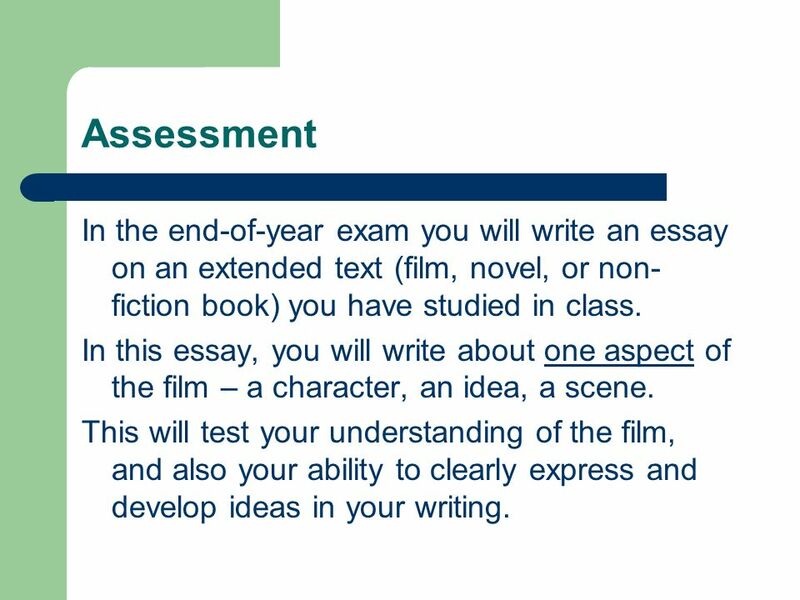 8 Assessment In the end-of-year exam you will write an essay on an extended text (film, novel, or non-fiction book) you have studied in class. In this essay, you will write about one aspect of the film – a character, an idea, a scene. 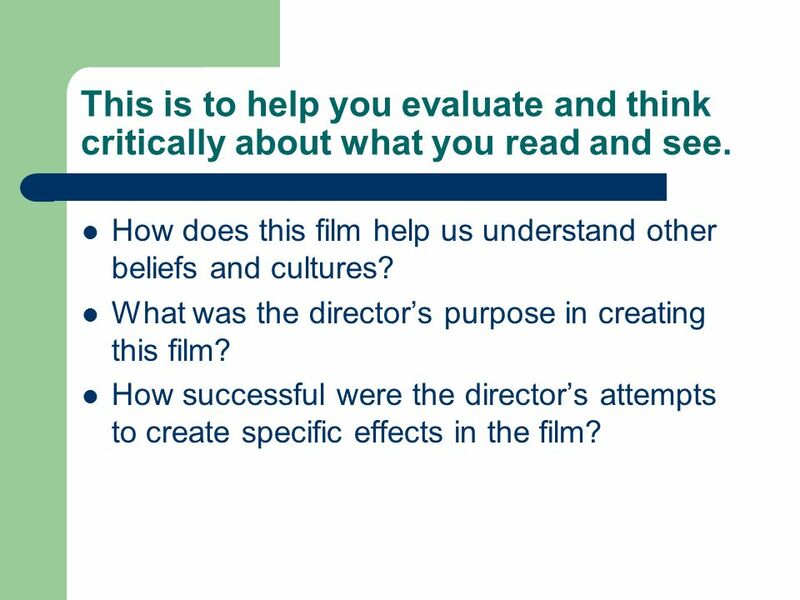 This will test your understanding of the film, and also your ability to clearly express and develop ideas in your writing. 9 What now? 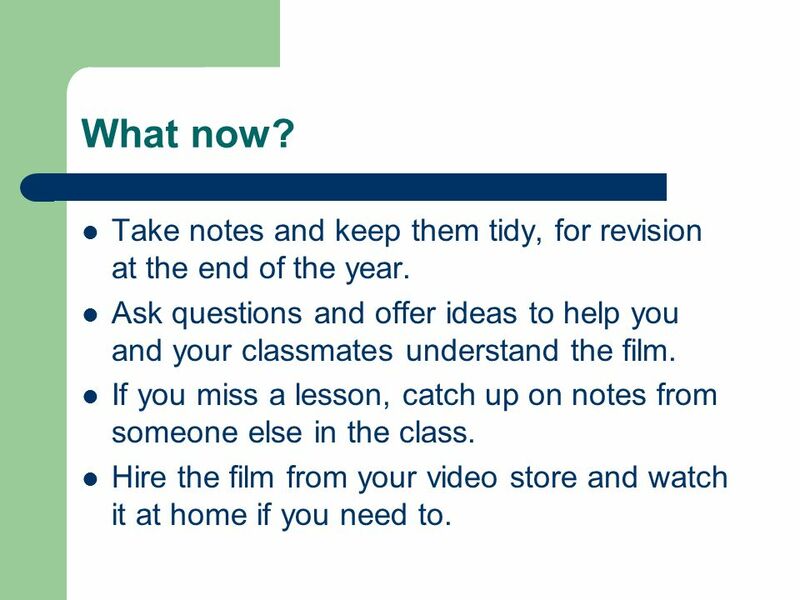 Take notes and keep them tidy, for revision at the end of the year. 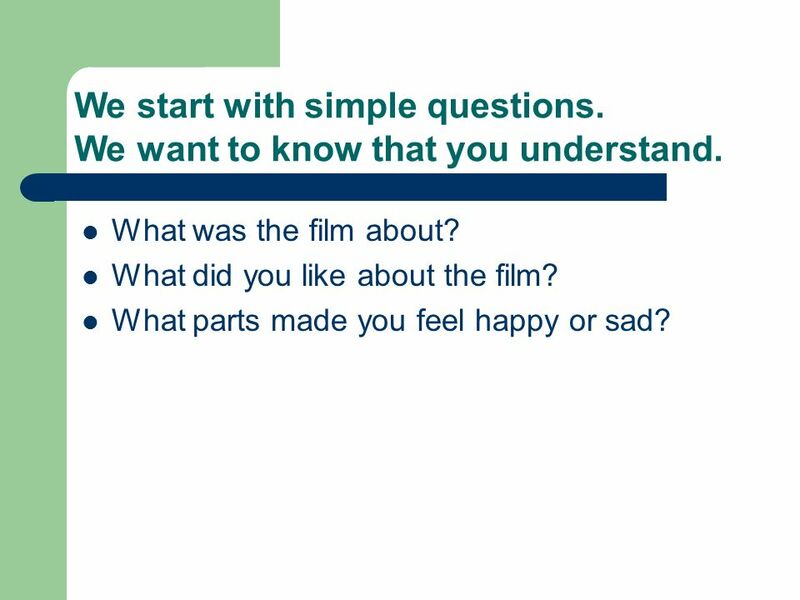 Ask questions and offer ideas to help you and your classmates understand the film. If you miss a lesson, catch up on notes from someone else in the class. Hire the film from your video store and watch it at home if you need to. 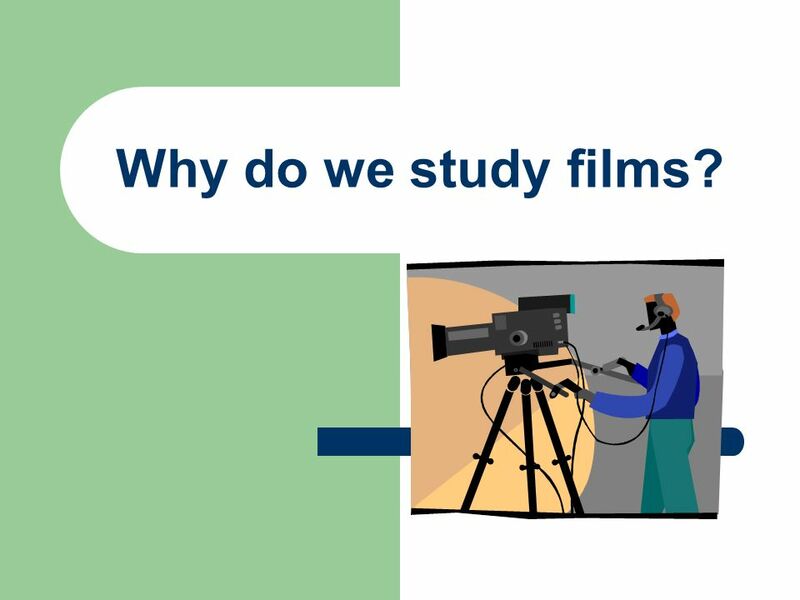 Download ppt "Why do we study films?." Themes/ Ideas in Juno Which idea is communicated in this shot? Name the theme, and list two visual features that support it. E DITING IN F ILM Transitions, Continuity, and Rhythm. Visual Text External Credits Film Study. Throughout this unit you should focus on the following: Theme and relevance of ideas to modern society/events. The Truman Show Themes and setting.. Lesson Plan Grade 5 Subject: Language Arts Standard 7 Comprehension—Students understand, interpret, and analyze narrative and informational grade level. Anna Medvedeva.  I have decided to analyze THE DAY AFTER TOMORROW because it is a Post Apocalyptic, Action and Adventure Drama film in which people are. 1.The Woman in Black What does the title suggest? Using the next slide as inspiration improvise a short play. Freeze frame. LOGO Literature in English HKDSE. YA Novel, Graphic Novel, Feature Film.